CooperVision’s water sustainability efforts have earned its Juana Diaz, Puerto Rico production and packaging facility top honours from the Puerto Rico Aqueduct and Sewer Authority (PRASA) for the fourth consecutive year. The PRASA Pre-Treatment Excellence Compliance Award recognized the company’s adherence to operating permit conditions, made possible by ongoing investment in the site’s infrastructure and training. Juana Diaz manufactures a range of CooperVision brands that are shipped worldwide, including popular Biofinity® silicone hydrogel contact lenses. Since 2015, the site has reduced its water consumption by 35 percent, significantly cutting the volume of water placed into the treatment system and lowering energy use. Improvements have included additional production monitoring, reuse of water used in some processes, and overall decreased reliance on manufacturing-related water. “Like the Puerto Rico Aqueduct and Sewer Authority, we have a special appreciation for the natural resources available to us on the island,” said Rolando Torres, Senior Vice President, America Manufacturing Operations, CooperVision. “Our water conservation efforts are important every day, and become even more important during times of crisis, whether the 2015 drought or the more recent recovery from Hurricane Maria in our local communities.” The plant’s enthusiasm for environmental stewardship also extends beyond its walls. 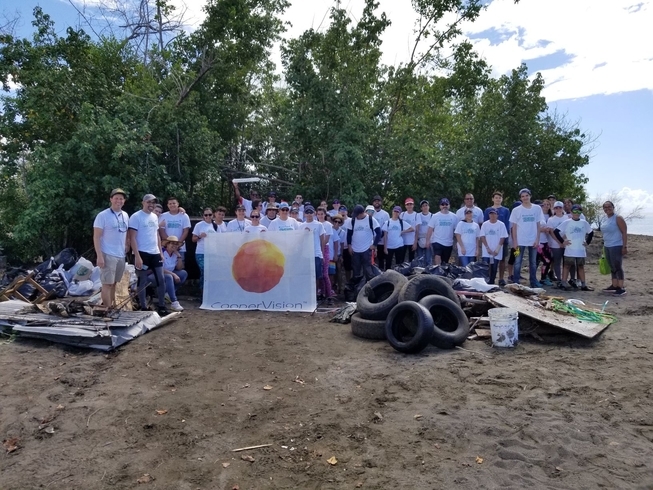 A group of CooperVision employees recently participated in the International Coastal Cleanup project, removing debris along the Tablado Pastillo shoreline in Juana Diaz. In addition to reducing mosquito breeding that is associated with accumulated solid waste, data on each pollutant was logged before being transported for possible recycling. These accomplishments in Puerto Rico are among multiple CooperVision environmental initiatives focused on saving water, conserving energy; reducing, reusing and recycling resources; and empowering people within the company and the communities in which it operates. It’s website that highlights its efforts around the globe is available at coopervision.com/sustainability.